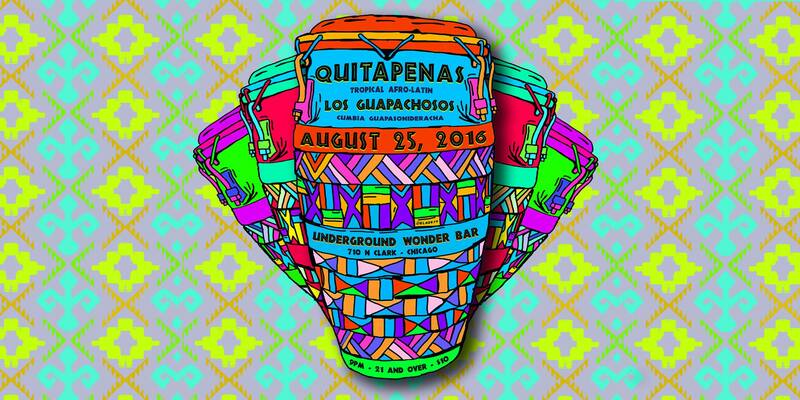 QUITA PENAS : Is a tropical Afro-Latin combo was born under the warm California sun in 2011. They borrow aesthetics from the radical 60s, 70s and 80s. Each song echoes a remix of history and invites one to engage in the liberating evenings of Angola, Peru, Colombia, Brazil and beyond. The name means “to remove worries.” Everybody has a “pena” and the mission of QUITAPENAS is simple: to make you dance and leave you worriless.